Should Chevrolet build this 2006 Camaro concept car? Voice your opinion. 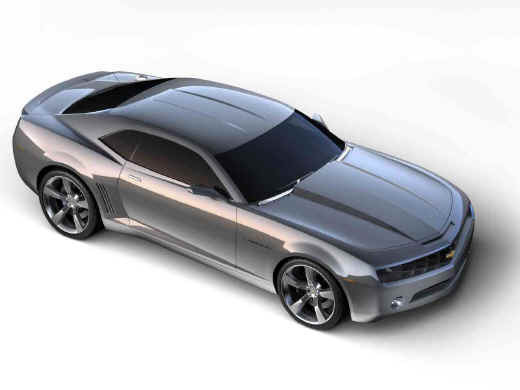 With the introduction of the 2006 Camaro concept car, Chevrolet hopes to challenge the retro Mustang and possibly the Dodoge Challenger concept. Yet we've seen Chevy blow it with the over-priced SSR (now slated for cancelation due to lack of sales) and the late-to-the-game HHR competitor to the PT Cruiser. I'd love to see a production Camaro based on the concept, but NOT with a $30-$40k price tag. If Chevy wants the Camaro to compete with the Mustang, it needs to be priced in the same ballpark! So the poll question is: should they build it? Then after voting, leave your comments as to what you think the price would be. Build it, then price it under $35.000. Taking inflation of the future into consideration of course. Posted: Mon Apr 17, 2006 4:17 pm Post subject: If you build it, they will buy it!!! I already have plans to buy one, so the sooner it goes into production the better!! !